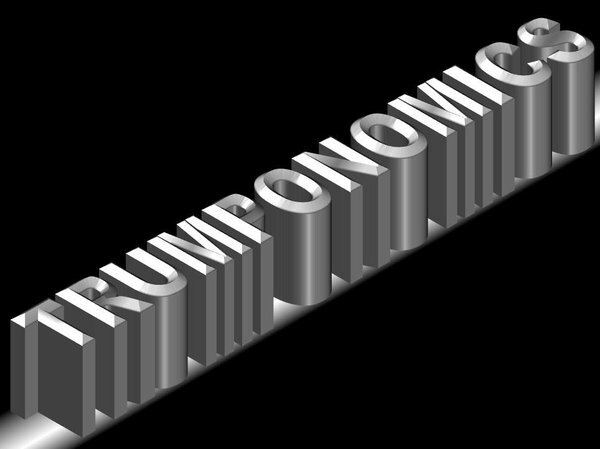 Politico just did a piece on the downside of Trumponomics, suggesting that some of Trump's economic proposals are probably not viable. In fact, they could hurt the economy. I think that's correct. Here's the issue, for me, though. How do Trump's ideas stack up against Bernie Sander's or Hillary's, for instance? Compared to Bernie or Hillary, Trump is a damned savant. Sanders may be the least economically savvy individual to ever get big-time media coverage in a presidential race. Hillary isn't far behind, and, has made claims based (at least in part) on former Clinton Labor Secretary Robert Reich's notion that it isn't corporations or entrepreneurs that create wealth, it is consumers. How do consumers create wealth, according to Reich? They do so through demand. Or, to put it another way, they need, therefore, that need creates the opportunity for creative, industrious business people to meet their demand for goods and services. This is partially correct. But, only in the sense that my desire for a product, a hamburger, let's say, may compel some clever entrepreneur like Ray crock, (the founder of McDonald's) to cook me one, plus a shake and fries, at a very low price, which Crock did, thereby laying the foundation for one the largest, most successful business on earth. My desire for a hamburger alone produced nothing. Why, then, are Reich, Hillary and Bernie, suggesting something so dimwitted? ​Because, it furthers the belief that brilliant government planners can create businesses free from the vagaries of the market. And, by doing so, create a kinder, gentler free market. Of course, such a market would not be free, but would be driven by layers of inefficient bureaucracy that would grow with little restraint and, most importantly, would thoroughly kill small and medium size businesses, leaving only mega-corporations, who would quickly dive into bed with even bigger government. Businesses in a genuinely free market are forced, by competition, to constantly work harder and more efficiently to meet consumer demand, which drives prices down and quality up. What Reich is suggesting, by any other name, then, is fascism, although, no one will call it by its proper title. So, to be fair, some of Trump's economic ideas may be lacking, but, in the end, all true business people are pragmatists, they have to be. Political animals like Hillary, Bernie and Barack, comparatively speaking, are social theorists, who've never really created a job, or a business. ​My hope for Trump is simple, that he will abandon his harsher rhetoric, which is really about drawing crowds and getting votes, and do what he does best, create real economic activity and jobs, meaning greater freedom and opportunity for all Americans.